Her request was that we go shopping after she takes her permit test, so that is what we’re about to do. I made her a scavenger list full of silly things that she can check off during her special day such as: ‘Take a selfie with your new selfie’ (meaning her permit), ‘Take a picture of your shoes where hundreds of other feet have trod’, etc. Holly is so special and uniquely beautiful. Her joy that she expresses comes from within and makes her fascinatingly gorgeous. I love the way she serves others and teaches others about the love that was shown to her. I’m so very proud of the lovely young woman she has become. One of the other things she asked for her birthday was to get a perm. 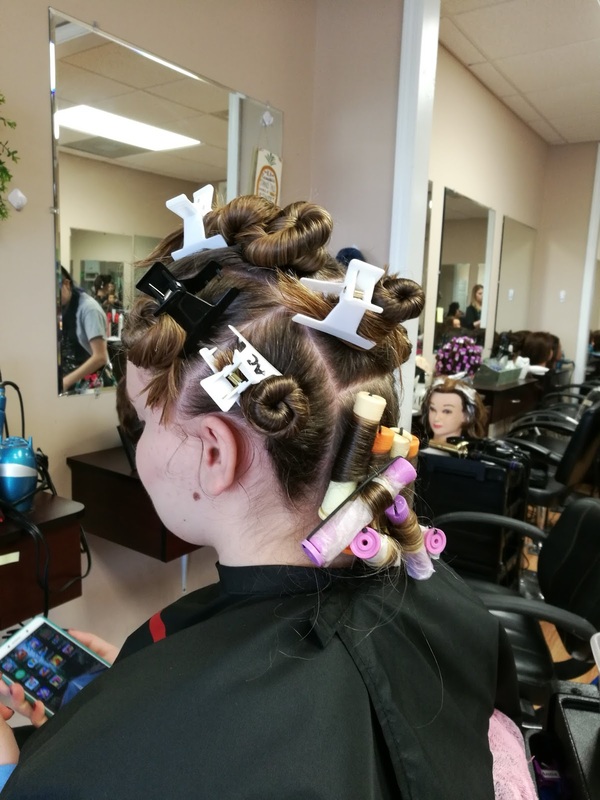 After learning the piggy-back perm (which is when you use 2-3 rods per strand of hair) at beauty school, I decided ‘why not’? 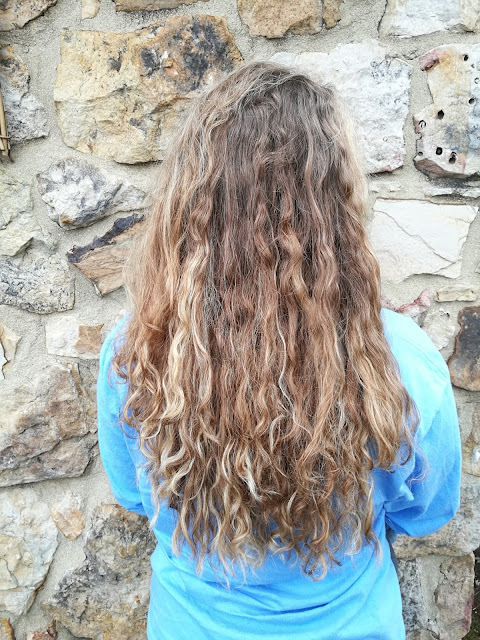 Holly, my sister, has wanted curly hair for some time now. I tried to talk her out of it because curly hair takes a lot of maintenance. Not that I don’t believe she is capable of it, but shoo-wee. It’s a lot to take care of. 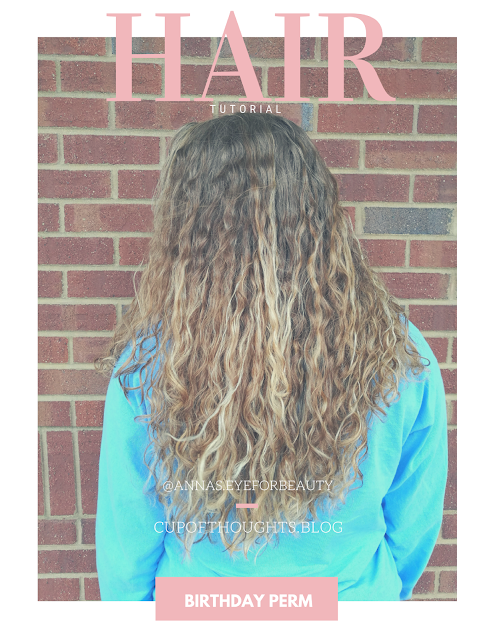 Plus, once you have a perm there’s no going back unless you want to straighten it out! This is the before picture! 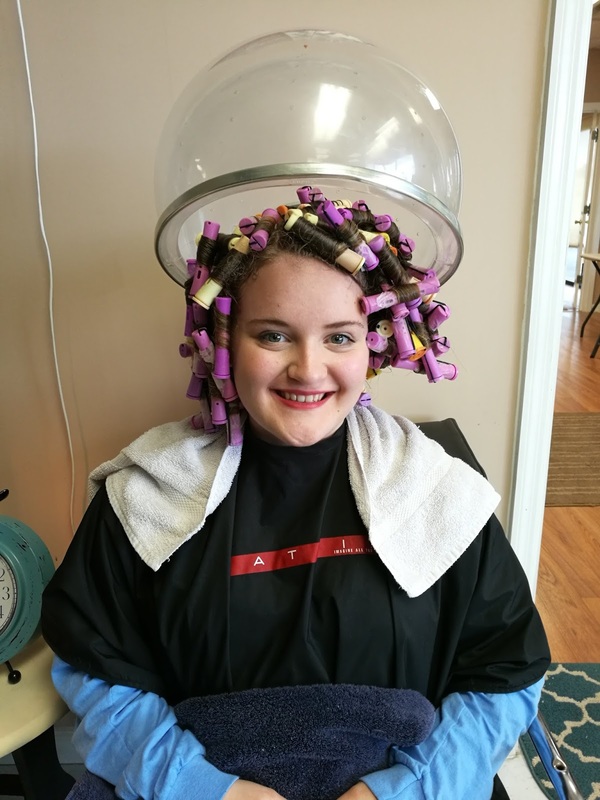 Here is my Instagram picture after 117 perm rods! Here’s my Princess Leia after sectioning her hair into 7 partings. Some of the strands were long enough for 3 rods! 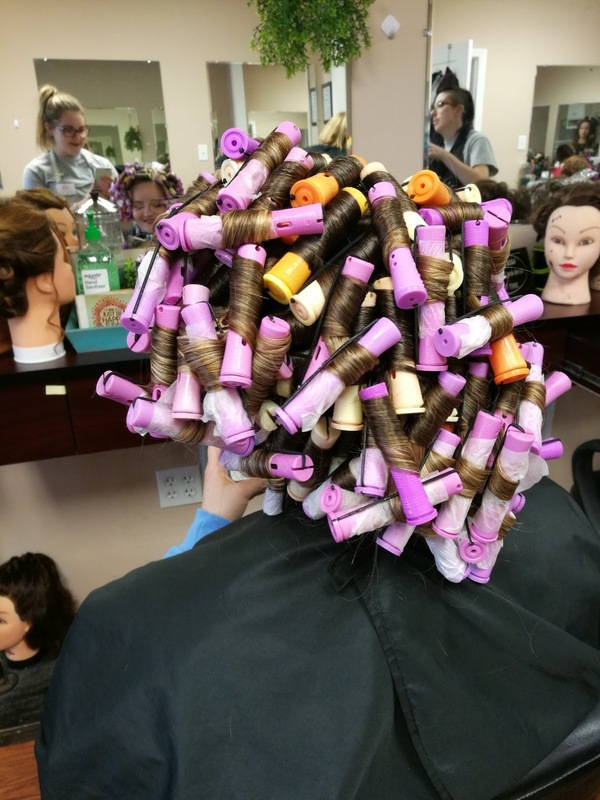 She said her head was incredibly heavy after the rods were placed in. I might’ve told her she looked a bit older than 16 right here. Ha ha! 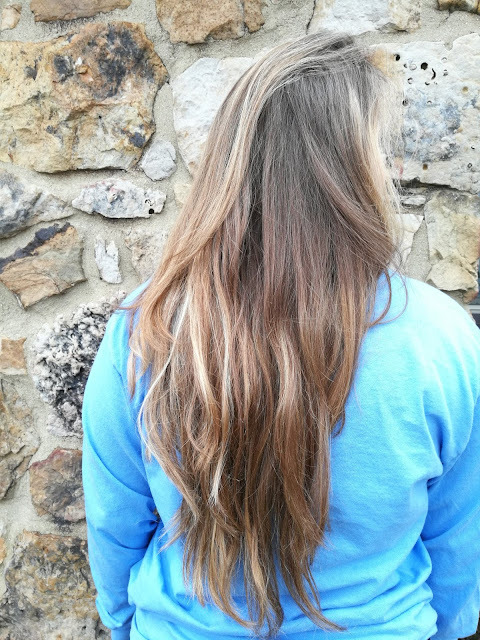 The final results were absolutely stunning on her long hair. Her first initial reaction was shock, but shortly after she couldn’t stop smiling. 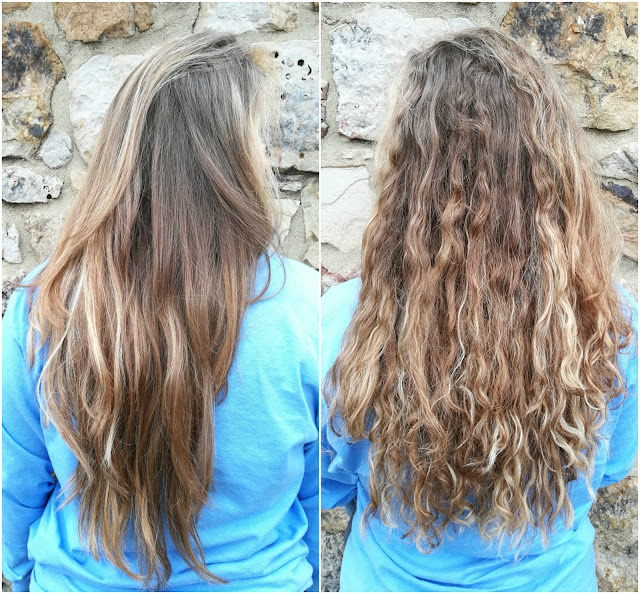 Here are the before and afters!